The acute mystery which had been deliberately visited on Germany, Austria and Hungary was remorseless. British, French and Italian obstruction to all U.S. proposals which would have alleviated the crises in Berlin and Vienna appeared to be absolute. 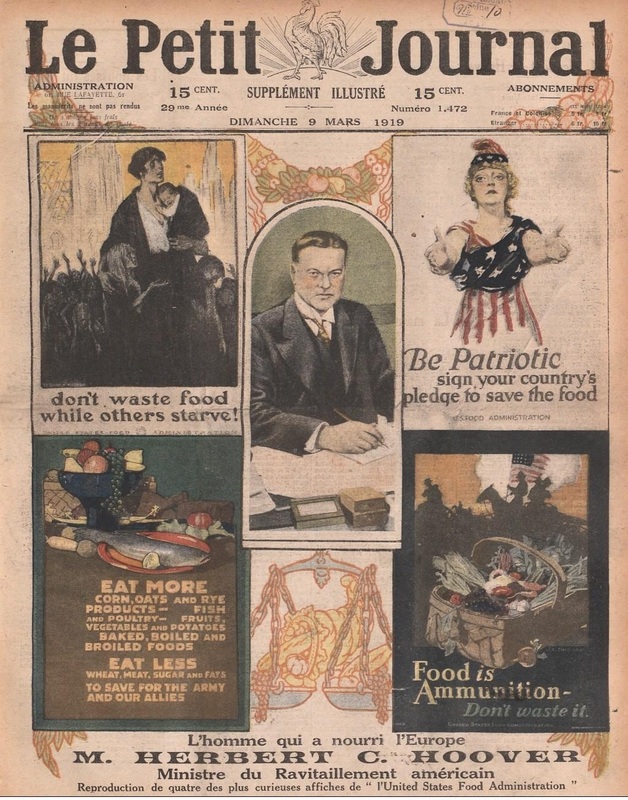 A breakthrough was apparently agreed on Christmas Eve, 1918, when the Americans thought that they had persuaded their Allies to relax the food blockade on the neutral and liberated countries. Furthermore the Inter-Allied Trade Council proposed to allow neutral countries to trade food to Germany in exchange for commodities which did not compete with Allied exports. 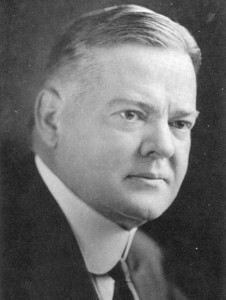 On Christmas Day, Hoover announced to the world press that ‘it is our first move towards feeding Germany.’ He notified all of the nations involved and announced that the British blockade authorities had confirmed the decision. Unbeknown to him, or any of the American delegation in Europe, his breakthrough was blown apart by a consortium of Allied councils and executives which met in London some six days later on December 31. They reversed the original decision and re-imposed the full blockade. Hoover described it sarcastically as ‘a sudden joint meeting … to which no Americans were invited’. In fact they had not even been notified. It was a stinging slap on the face for Hoover and another body-blow for the starving Germans. Not only had the London conspirators undermined his strategy, they had not even sufficient courage to tell him in person. Hoover’s first concern was the financial impact this would have. Money always was his first interest. The British were leading an economic revolt which would have caused an disastrous crash in the U.S. farming industries. The Grain Corporation alone had borrowed over $300,000,000 in the expectation of vast profits from sales to Europe. Hoover estimated that he had 700,000 tons of food en route to famine areas in Europe. Cold storage for perishable foodstuffs was already at bursting point. Yet the British press were relentless in their denial of starvation in Germany. On 3 January 1919, a leading article in The Times dismissed the ‘German Hunger Bogy’ as spurious. What were people to think when the trusted Times reported, ‘You don’t see so many people with rolls of fat on them as you did five years ago, but you also see a healthier, harder and generally more fit population’. Such twisted, pathetic logic. Even when, by mid-January 1919, it appeared that ‘the Big Four’ (Britain, France the United States and Italy) had agreed that Germany should be supplied with food and ‘if nothing else could be done’ pay in gold and export a limited amount of commodities, the blockade remained in place. The Allied Blockade Committee refused to issue the necessary orders and the British navy stubbornly resisted any attempt by Hoover’s ships to enter German waters. The role of the admiralty in maintaining and enforcing the vicious throttling of a defeated Germany has been clearly understated. It wasn’t just that a watertight blockade was maintained; it was extended and remorselessly enforced. The admiralty ordered the cessation of all German fishing rights in the Baltic … an act of war, clothed in the name of the armistice. The German people were forbidden to even fish for their own food. The Berliner Tageblatt could not fathom why there were steamers from Scandinavia intended for Germany loaded with fish which perished in their holds ‘because the English had extended their hunger blockade’. As we have shown time and again, had such a blockade been enforced in 1915 the war would have been over three years earlier. Bitter voices were raised in the House of Commons demanding retribution at all costs. 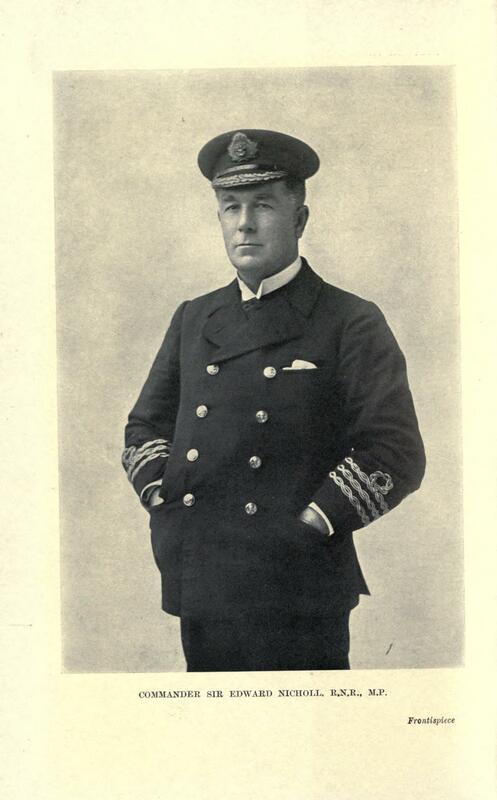 Commander Sir Edward Nicholl M.P., threw vastly inflated data into the equation, claiming that 23,737,080 tons of shipping had been sunk by German submarines,  and seventeen thousand men of the Mercantile Marine murdered ‘by order of Count Luxembourg’, with instructions to leave no trace behind! Nicholl claimed that the Merchant Seamen’s League had sworn that they would not trade with Germany or … sail with a German until reparation is made and compensation paid to those who have been left behind. Exaggerations apart (Harold Temperley then a British official, estimated the total tonnage sunk at over 15,000,000 tons. 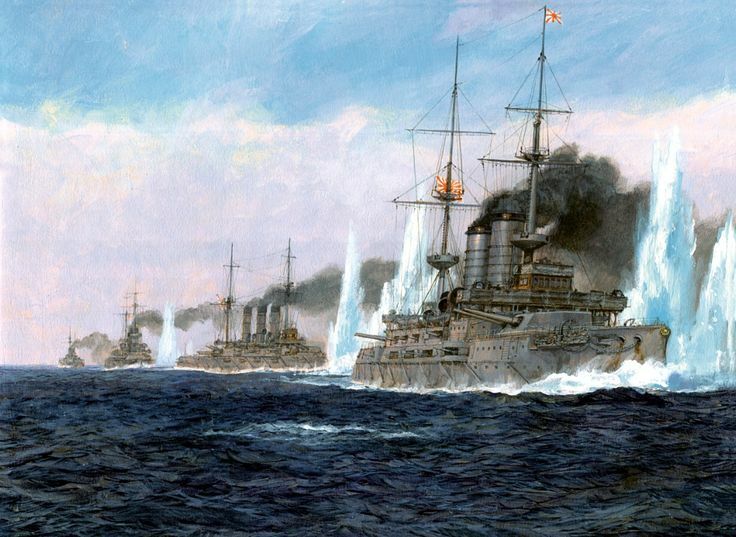 Lloyd’s Register put the number at 13,233,672 tons), the hurt of war-loss reduced sensitivity towards the losers. While that is understandable, it is no reason to deny that the starving of Germany was deliberately maintained for ulterior motives. The notion that the Armistice was signed and sealed in November 1918 is misleading. There were a number of armistice extensions because the process of prolonging the misery for Germany required an extensive period of implementation. The first armistice of 11 November was renewed on 13 December 1918, 16 January 1919 and on 16 February 1919, with Article 26 on the blockade of Germany still in force, it was renewed indefinitely. There was in fact no agreed peace, though the fighting had ended and Germany had surrendered her naval power. While the blockade allowed the navy to distance itself from its consequences, the British army had to deal with the reality of hunger, starvation, poverty and misery on the streets of major German cities. The war office in London received reports from officers in Hamburg and Hanover  which described the physical deterioration of the population with alarming clarity. Shamefully, milk supplies around Hanover had dried up for children over six. War continued to be waged against the innocent. Even with his landslide election victory behind him, Lloyd George took no action to intervene until five months of misery had reduced the immune system of the German people to desperately low levels. Economic despair brought about political unrest, riots, protests and the rise of a new threat, Bolshevism. Hunger and malnutrition were indeed breeding revolt. The risks to European stability merited a change of policy. The warnings sent to the war office began to underline a growing concern about the worth of the blockade. A report from fourteen ranking army officers, mainly captains with legal, business or financial backgrounds, detailed their conclusions on the critical state of Berlin, Munich, Hamburg, Hannover, Leipzig, Dresden, Magdeburg and Cassel. They stated that a disaster was imminent and ‘the policy of starvation (note the terminology … the policy of starvation) was not only senseless but harmful to ourselves…. and it would be folly to suppose that the ensuing disaster would be confined to Germany.’  Never mind the emaciated children, the fear of hunger, the sick and the dying … starvation had become a threat to stability across Europe. It was spreading disease and a new threat called Bolshevism had begun to seep out of a dysfunctional Russia. They had no notion that Bolshevism was being funded by the great international banks in Wall Street. Though Britain had been struggling to import sufficient food for its population earlier in the year, by late 1918 Hoover’s fleet provided a steady inflow from America to Britain. Yet the onward distribution remained completely blocked. 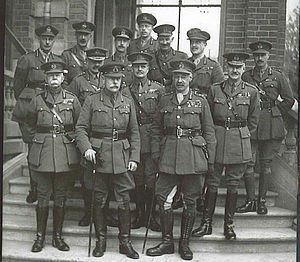 The War Cabinet meeting of 12 February 1919 noted that British ports were stocked ‘to their utmost capacity’, storage facilities taxed to their limit and meat supplies so strong that the civilian ration should be increased’. Although consideration was given to British exports to neutral countries, the government was advised that the blockade be maintained. There was to be no swift relaxation…until, well, Herbert Hoover, the super-hero of his own legend, burst the bubble. Safe in the knowledge that he could not be contradicted, Herbert Hoover later awarded himself the pivotal role in ending the food blockade. The following story was penned by Hoover in his autobiographic American Epic 2 written in 1959. On the evening of 7 March 1919, Herbert Hoover was summoned into Lloyd George’s presence in Paris where he found a distraught General Plumer, Commander of the British Army of Occupation in Germany. Plumer insisted that the rank and file of his men could no longer cope with the sight ‘of skinny and bloated children pawing over the offal from British cantonments’. He claimed that his soldiers were actually depriving themselves to feed these children and wanted to go home, adding that the country ‘was going Bolshevist.’ When asked by Lloyd George why he had not sent food to Germany, Hoover, in his own words, exploded in anger and detailed the obstructions put in his way. He ranted about ‘the three hundred million pounds of perishables, which would spoil in a few weeks, in continental ports or Belgium. He pointed to the vicious and senseless admiralty policy which prevented the Germans fishing in the Baltic, and the inhumane tactic of starving women and children after Germany had surrendered. Hoover apparently closed this rant with the warning that ‘the Allies would be reduced to nothing better with which to make peace with Germany than the Germans had had with Communist Russia.’  Truth or romanticised self-indulgence? Who can say? 1. Hoover, American Epic 2, pp. 303-4. 2. FRUS vol 2. Papers Relating etc pp. 695-7. 3. Hoover, Memoirs, Vol 1. pp. 332. 6. Berliner Tageblatt, 13 December 1918, p. 2. 7. House of Commons Debate 02 April 1919 vol 114 cc1304-49. 11. Hoover, Memoirs, Vol. 1, pp. 340-1. 12. Reports by British Officers, Cmd.52, HMSO 1919. p. 84. 14. Winston Churchill was returned to high office on 9 January 1919 as Secretary of State for War. 16. War Cabinet 531, p. 2. War Cabinet Minutes 12 February 1919. CAB /23/ 9/18. 17. Herbert Hoover, American Epic 2, pp. 337-8. 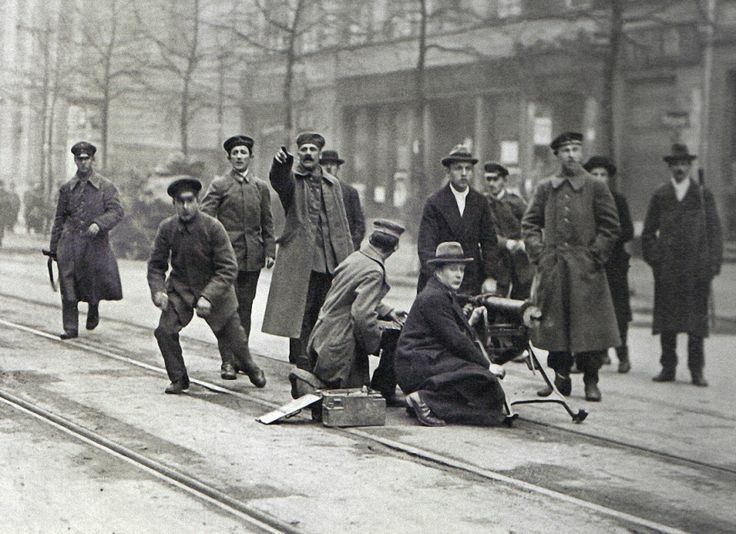 The ‘Red Terror’ went into overdrive in August 1918 when Lenin was shot and seriously wounded. The attack occurred on the same day that Chairman of the Petrograd Cheka, M.S. Uritskii, was assassinated and accounts of who was directly responsible have been questioned and debated ever since. 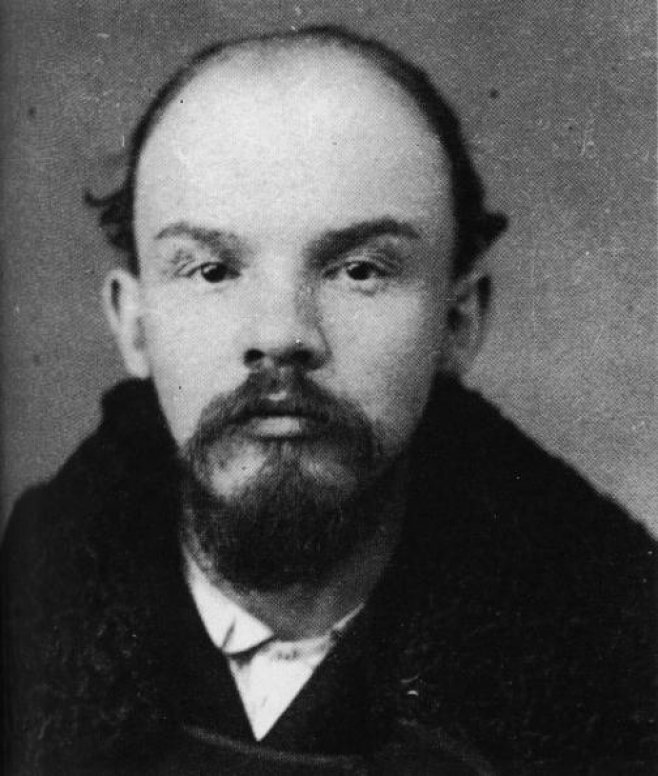 Vladimir Lenin had just finished a major speech to the workers at the Mikhelson factory in Moscow when three shots were fired at him through the crowd. Soviet historians and show trial records blamed Fania Kaplan, a Ukranian-Jewish revolutionary, but no-one actually saw her fire the gun. Nor was she clearly associated with the socialist revolutionaries. The firearm was never found, but Fania was executed as an attempted assassin and counter-revolutionary. Like many an alleged assassin before and after the attempt on Lenin’s life, Fania was presumed guilty and removed permanently before evidence could be presented in court. Other claimants implicated Robert Bruce-Lockhart, Milner’s personal agent at the heart of the revolution, and the British Consul General in Moscow, who was arrested in his flat and imprisoned in the Kremlin. Allegations about his involvement in a plot to kill Lenin were strengthened by his son, who later revealed in a 1967 letter to the foreign office in London that his father’s work with counter-revolutionaries at that time was far more extensive than was ever admitted. What we do know is that the Bolsheviks agreed to exchange Lockhart and other Moscow staff for his London counterpart Maxim Litvinov  in October 1918. Typically, the foreign office files on Lockhart remain largely secret one hundred years after these significant events. Sadly we still cannot be trusted with the truth. But the recriminations and blood-letting reached horrendous levels. Anyone deemed to be a counter-revolutionary was at risk of summary execution. The numbers who were slaughtered have been estimated in the millions, but no one counted. The treatment of Russian citizens accused of any ‘crime’ by the Cheka was truly medieval. 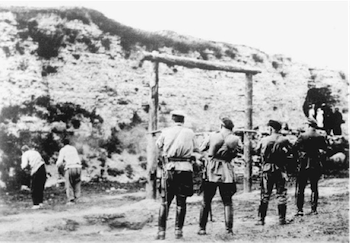 Hundreds of thousands of innocents suffered barbaric forms of torture, all of which was carried out with the full knowledge and support of Lenin and Trotsky. 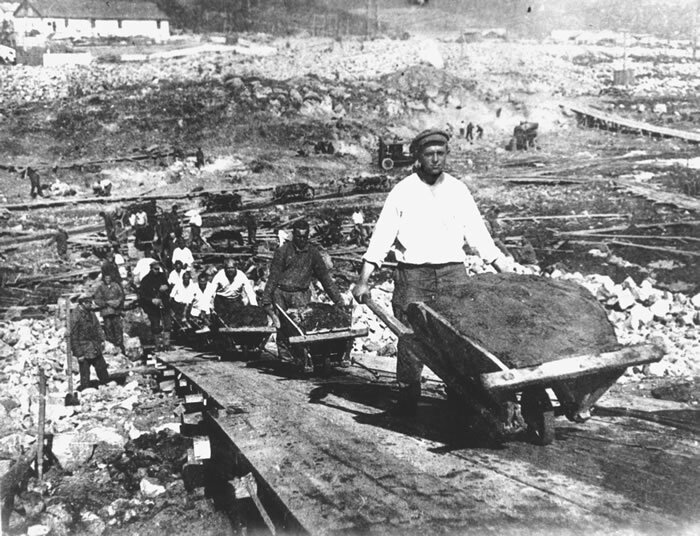 The horrors of the infamous forced labor camps across Russia, as later exposed to an unsuspecting world by Alexander Solzhenitsyn in his masterwork, The Gulag Archipelago, stemmed from his personal experience in the 1920s. Millions died in mass famine or were shot in repeated massacres. All the while, the international bankers who had funded and enabled this savagery enjoyed their spoils. Desperate for weapons, they sold gold and diamonds on the international markets at knock-down prices to fund armaments to put down civil strife against their tyranny. The Russian Civil War is beyond the scope of this book, but suffice to say that two years after seizing power, the heavily-armed Bolsheviks emerged victorious. The cost was counted in millions of dead and wounded, in broken families and a subjugated people. By 1920 they reigned supreme over a devastated and completely bankrupt country. The pre-war population of Petrograd had been reduced by four fifths, with the emaciated twenty per cent that remained barely surviving. Moscow suffered in like fashion. Trams and trolleys stood still; epidemic disease was rampant and the suffering people found little solace in the hospitals because the doctors and nurses were dying too. The policies of War Communism reduced the Russian people to nearly prehistoric conditions of scavenging to avoid widespread starvation. Estimates of 60,000,000 Russians dying through starvation or execution in this grotesque experiment in social control were almost certainly conservative. Although they did not interfere with the National City Bank of New York’s branch in Petrograd, the Bolsheviks opened the first International Bank of Foreign Commerce, the Ruskombank. It was not owned and run by the state as directed by Communist theory, but underpinned by a syndicate of private financiers. These included former czarist bankers and representatives of German, Swedish, British and American banks. Most of the foreign capital came from England, including the British government itself. 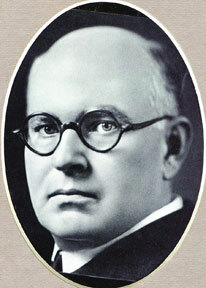 The Director of the Foreign Division of the new Bolshevik bank was Max May, Vice President of Morgan’s Guaranty Trust. Olof Aschberg, the Swedish agent who had facilitated Trotsky’s return, and much else, was placed in charge. Assured of financial and political backing from abroad, the Bolsheviks and their capitalist allies proceeded to carve up Russia. One of the greatest myths of contemporary history is that the Bolshevik Revolution was a popular uprising of the downtrodden masses against the hated Czars. The sheer weight of history has proven that a lie. Certainly, the planning, the leadership, and especially the finance came entirely from outside Russia, mostly from bankers in Germany, Britain, and the United States. 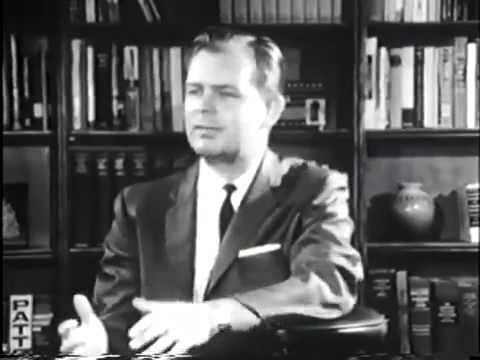 Evidence of the role played by international bankers in both the February and October revolutions in Russia has been laid before you, and although it would appear that the Rothschilds placed no great part in them, G Edward Griffin believed that ‘The Rothschild formula played a major role in shaping these events.’  Do not dismiss Griffin out of hand. 1. Semion Lyandres; The 1918 Attempt on the Life of Lenin, Slavonic Review, vol. 48. no.3 pp. 432-448. 3. National Archives FO 370/ 2320, file 131. 5. 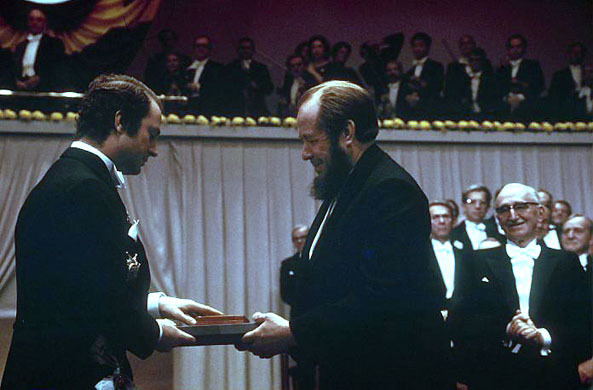 Alexander Solzhenitsyn’s masterwork, The Gulag Archipelago, was written between 1958-68 and was published in the West in 1973. Originally in three parts his expose of the Soviet Forced Labour system was drawn from eye witness accounts, primary documents and his own experience. 6. G. Edward Griffin, The Creature from Jekyll Island, p. 293. 7. Sean McMeekin, History’s Greatest Heist, p. 136. 9. Anthony Sutton, Wall Street and the Bolshevik Revolution, p. 63. 11. U.S. State Dept., Decimal File, 861.51/815, 836, 837, October, 1920. Also Sutton, Revolution, pp. 159-60, 165. 12. G. Edward Griffin, The Creature from Jekyll Island, p. 263. The United States could have exerted its influence to help bring about a free Russia, but its decisions were controlled by the international bankers who would have accepted a centralised Czarist Russia or a centralised Marxist Russia, but not a decentralised free Russia. A corrupt system under the Czars was replaced by a corrupt system under the Bolsheviks. Plus ca change. The political hue of government, any government, was irrelevant to the bankers, provided they controlled the politicians. And that control was considerably more straightforward when dictated through a centralised government in a highly organised state. The British wing of the Anglo-American elites gave similar support. 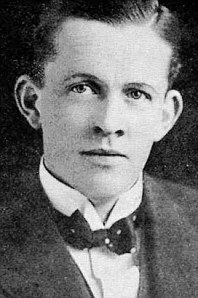 Lloyd George’s government nurtured unofficial relations with the Bolshevik regime, and concurrently close relations with the American Red Cross Mission, through Bruce Lockhart, a young Russian-speaking Scottish diplomat. Lockhart was chosen for the post, not by the Foreign Secretary or the Foreign Office, but personally by Secret Elite supremo, Alfred Milner. Bruce Lockhart later recounted that before his departure for Russia, the great man (Milner) talked to him almost every day and dined with him at Brooks’s gentlemen’s club in Westminster. Utterly devoted to Lord Milner, Lockhart noted that he (Milner) ‘believed in the highly organised state.’  Milner’s young agent quickly became closely linked with Raymond Robins and the Wall Street/Red Cross mission in Petrograd. Lockhart realised that Raymond Robins was already established as the intermediary between the Bolsheviks and the American Government. Although Robins knew no Russian and very little about Russia, he had set himself the task of persuading President Wilson to formally recognise the Soviet regime. His assistant, Michael Gumberg, supplied him with the necessary background information to justify this action. Michael Gruzenberg, from Yanovich in Belarus, a man of many aliases, was the chief Bolshevik agent in Scandinavia. He worked closely with Parvus and Furstenberg, and was a ‘confidential adviser to the Chase National Bank in New York.’ This dual role was known to and accepted by both the Soviet and his American employers’. When the Bolsheviks began to loot Russia in earnest, Gumberg took diamonds stitched into his brief-case for sale in the United States. He was an international agent who ‘worked for Wall Street and the Bolsheviks’. This joint role may appear a confusing impossibility today, but in 1917 that was exactly what he represented. Wall Street and Bolshevism. By this means, the official diplomatic representatives of the British and American governments were neutralised and effectively replaced by unofficial agents of the bankers sent to support the Bolsheviks. The reports from these unofficial ambassadors were in direct contrast to pleas for help addressed to the West from inside Russia. Protests about Lenin and Trotsky who had imposed the iron grip of a police state in Russia were ignored. Many Russians had experienced hunger and hardship under Czarist rule, but many millions more would die after the revolution from hunger, by the bullet, or from exposure in the frozen hell of the Siberian arctic wastes. A starving, withering wasteland loomed on the horizon as Lenin and Trotsky allowed the gold and treasures of Russia to fill the vaults of the western bankers who had financed, promoted and protected them. And their dictatorship surpassed the worst nightmares of Czarism. Grigory Zinoviev, chillingly expressed what was to be done: ‘To overcome our enemies… we must carry along with us 90 million out of the 100 million of Soviet Russia’s population. As for the rest, we have nothing to say to them. They must be annihilated’. Ten million Russians were to be ‘annihilated’ to achieve that purpose. The Bolsheviks created the much feared police force, the Cheka, to conduct an utterly ruthless campaign of terror against all political dissent. With Trotsky at the head of the Red Army, and his old friend Moisei Uritskii in charge of the Cheka, the voice of reason was choked into compliance. The Cheka crushed peasant revolts in various parts of the country after the Red Army emptied their grain stores without payment. Strikes by the proletariat were mercilessly suppressed. 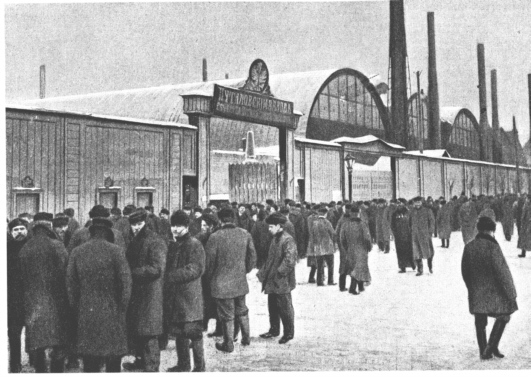 Ironically, hundreds of striking workers at the Putilov factory from where the revolution originated, were executed without trial. In a nutshell, the Bolsheviks were utterly obsessed with ‘violence, dictatorship and coercion.’  But the blood that was spilled in Russia meant nothing to the money-power in Wall Street. Profits flourished. 1. Bruce Lockhart, Memoirs of a British Agent, pp. 222-223. 2. George F. Kennan, Russia and the West under Lenin and Stalin, p. 180. 3. Sutton, Wall Street, p. 19. 4. Lockhart, Memoirs of a British Agent, p. 206. 6. Sutton, Wall Street p. 36. 9. Lockhart, Memoirs of a British Agent, p. 256. 11. See Blog: Russia in Revolution 5, Sealing the Czar’s Fate, posted on 10 October 2017. 12. Sutton, Wall Street, p. 94. 13. Lockhart, Memoirs of a British Agent, p. 224. 14. Sutton, Wall Street, p. 103. 15. Maxim Gorky, The New Life, April 1918. 17. George Leggett. The Cheka: Lenin’s Political Police, p. 114. 18. Robert Conquest, Reflections on a Ravaged Century, p. 101. 19. Dimitri Volkogonov, Trotsky, p. 394. While the Bolsheviks and Mensheviks wrestled with each other for control of a revolution in Russian society, events intervened. In February 1904, just six months after the Brussels/London RSDLP conference ended in the infamous Bolshevik v Menshevik split, Russia was inveigled into a disastrous war with Japan in the Far East. Its roots are to be found in the Machiavellian machinations of the British foreign office, the Secret Elite, including King Edward VII, Sir Ernest Cassel, and Jacob Schiff of Kuhn, Loeb bank on Wall Street. Outraged by the horrendous anti-Jewish pogroms in Russia, Schiff made it a point of honour to help finance Japan in its war against Russia. As the Russo-Japanese War lurched from one disaster to another, political unrest in Russia deepened. In the infamous ‘Bloody Sunday’ atrocity of 22 January 1905, troops fired on a huge, but orderly, crowd of workers marching to the Winter Palace behind the charismatic Russian priest Father Georgii Gapon. Their intention was to present a petition to the Czar calling for universal suffrage. Around 1,000 peaceful marchers and onlookers were killed. 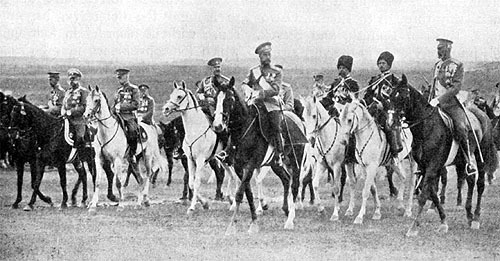 Nicholas II had left the city the night before and did not give the order to fire personally, but he lost the respect of many Russians. 1905 was disrupted with direct action from workers’ demonstrations, strikes and rebellion by sections of the army and navy. The crew of the battleship Potemkin mutinied, killing the captain and several officers. Striking workers formed ‘Soviets’, councils of delegates from workers committees, who could coordinate action. They sprang up in major towns and cities, including St Petersburg, where Trotsky, then twenty-three-years-old, played a major role. He had returned illegally from the safety of Finland under a false name and in the guise of a successful entrepreneur. Trotsky immediately wrote proclamations for distribution in factories and posted these throughout the city. In October 1905 a local strike by print workers flared into a national protest. Gangs of armed right-wing extremists were encouraged by the police to hold counter-demonstrations under the banners of ‘Holy Russia’ and ‘God save the Czar’. In response to the violence, the factory workers armed themselves. A showdown was inevitable. In December, the Izmailovsky Regiment in St Petersburg was ordered to arrest the entire executive committee of the Soviet in the capital. In sympathy, the Moscow Soviet declared a strike and thousands of Muscovites took to the streets in protest. Cossacks sent to break up the Moscow demonstrations, twice refused orders to charge, and sympathised with the strikers. The crack Semenovsky Guards were less sympathetic, cornering protestors in Presnya, a workers’ district in the city, before shelling the area for three days. Many hundreds were killed including eighty-six children. 1905 had started with the Bloody Sunday massacre and ended with the Presnya massacre. Czarist forces, including the secret and much feared Okhrana secret police, prevailed. Later that year, Trotsky and 13 other members of the St Petersburg Soviet were arrested for political scheming and spent thirteen months as prisoners in the city gaol awaiting trial. In January 1907 each was given a life sentence of exile in a small Siberian village above the Arctic Circle, 600 miles from the nearest railway station. Trotsky escaped on his journey into exile and trekked for hundreds of miles through the Urals before making his way to Finland from where, after an extremely frosty meeting with Lenin, he went on to Stockholm and then Vienna. 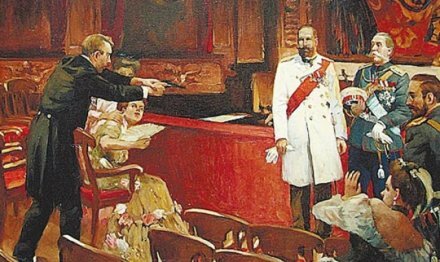 Nicholas II ruthlessly persecuted the insurrectionists yet introduced measures of reform, including some basic civil liberties and the creation of a State Assembly, the Duma. It was similar to a parliamentary-type elected body but, much like the British parliament in the early nineteenth century, only male property owners and taxpayers were represented. The Czar retained power over State Ministers, who answered to him, not the Duma. If he was dissatisfied with the representative body not could be dissolved at will and fresh elections held. Peasant emancipation and the consequent increase in food production were abhorrent to the Bolsheviks. They intended to bring all land under state control and implement cooperative food production. Trotsky had called the peasantry ‘a vast reservoir of potential revolutionaries’, and ‘accepted the indispensable importance of a peasant rising as an auxiliary to the main task of the proletariat’. The goal was revolution and government controlled by the proletariat, that is, the working class who sold their labour for a wage, but did not own the means of production. Peasant farmers had to be brought on-board if the revolution was to succeed, but that prospect receded as ever greater numbers were enabled to own their farms. It was clear to both the Czarist regime and the Bolsheviks that the peasantry would not support a political system that would deny them ownership of their land. Stolypin’s success threatened the revolution; his agrarian reforms had to be terminated. On 14 September 1911, while attending a performance at the Kiev Opera House in the presence of Czar Nicholas II, the prime minister was shot dead by a Jewish revolutionary, Mordekhai Gershkovich. Trotsky later commented: ‘Stolypin’s constitution … had every chance of surviving’. Exactly so. Stolypin was assassinated by the revolutionaries not because he failed to improve the lot of the peasant, but because he was so successful in winning them over. Nine months later, in April 1912, miners in the Lena goldfields in north-east Siberia went on strike. The mines produced large profits for their London registered company, but workers were paid a pittance for 16 hours per day under atrocious conditions. The strike was savagely crushed. In what proved to be the worst massacre since Bloody Sunday, troops fired on striking workers leaving more than 500 casualties. The slaughter heralded a further wave of industrial unrest, agitation and mounting tension throughout the country. Two weeks after the massacre, the Bolsheviks founded a new newspaper, Pravda. Shipbuilding, railroad construction and armaments and munitions production significantly expanded. The international bankers earned large profits from substantial interest rates on their loans, and at the same time, enabled Russia to conduct a major rearmament programme in readiness for the Secret Elite’s coming war with Germany. Given that Britain had no land army on European soil, Russian manpower was absolutely critical to an attack on Germany. Bullets and artillery shells were produced by the millions. A powerful new fleet of battleships, cruisers, destroyers and submarines began rising on the stocks in shipyards across the empire. Conditions attached to large railway loans insisted that these had to be used purely for the construction of new railroads which ran towards Germany’s borders. Why was this particular stipulation given priority? Mobilising an army of millions had never been easy. It required efficient planning and careful logistical organisation. A capable railway network was a prerequisite for the mobilisation of the huge Russian armies which would be critical when war with Germany was declared. Look again at the men who laid down the stipulation. International bankers. How odd, unless of course it was they who were planning the war. To repay the Czar for his ‘loyalty’, the Secret Elite dangled before him the golden carrot of Russia’s ultimate dream. A solemn promise was given that Russia would be given Constantinople and the Straits once Germany had been defeated, the holy grail of Russian leaders for centuries. That was why Russia went to war in July 1914, not, as she claimed, to defend Serbia. As the years dragged on and the Russian losses on the Eastern Front approached six million dead or seriously wounded, even the Czar began to suspect that Perfidious Albion had tricked them into war with an empty promise. It had. Their ownership of Constantinople remained as illusionary as it always had. In a sense it was as though Russia went to war in 1914 despite the revolutionary undercurrent. Victory on the field of battle, the glittering reward of a warm-water port at Constantinople, the spoils from a broken and defeated Germany would surely have renewed popular faith in the Russian monarchy. In fact the deeply wounded Russian people suffered defeat, disgrace and ultimate disintegration. The socialist forces that had been growing steadily between 1904 and 1914 found direct backing from foreign quarters few ever understood. This has to be fully examined. 1. Gerry Docherty and Jim Macgregor, Hidden History, The Secret Origins of the First World War, pp. 86-87. 2. Ron Chernow, The Warburgs, p. 110. 3. Takahashi Korekiyo, The Rothschilds and the Russo-Japanese War,1904-6, pp. 20-21. 4. Pearson, The Sealed Train, p. 34. 5. George Buchanan, My Mission to Russia and Other Diplomatic Memories, vol. 1, p. 77. 6. Carr, The Bolshevik Revolution, p. 60. 7. Trotsky, My Life, p. 208. 8. Carr, The Bolshevik Revolution. p. 65. 9. McMeekin, History’s Greatest Heist, p. xvii. 10. Docherty and Macgregor, Hidden History, p. 297. 12. Guido Preparata, Conjuring Hitler, p. 27. Revolution In Russia 2: The Struggle Within; Bolshevism or Menshevism? Years prior to the Bolshevik seizure of power, Lenin and many other young revolutionaries who voiced their opposition to the backward Czarist regime were condemned to exile in Siberia. Among them was Leon Davidovitch Bronstein, alias Leon Trotsky, who was sentenced to four years in the frozen wilderness. Trotsky was a Marxist, like Lenin and knew him well, but he initially sided with a softer faction socialism rather than Lenin’s hard-line Bolsheviks. He later switched his allegiance to Lenin when both were financed by western bankers to seize power in October 1917. Thereafter, he became second in command of the Bolsheviks, founded the Red army, and was every bit as infamous as Lenin. In 1902 Trotsky escaped from exile in Siberia, leaving behind his wife Alexandra and their two young daughters. According to Trotsky, it was Alexandra who had insisted that he put his duty to revolution before family. Trotsky blamed ‘fate’ for their separation, but his actions suggested unbridled pragmatism and ‘an urge to free himself from a burden in order to move on to higher things.’  Soon after abandoning his wife and children in Siberia, he divorced Alexandra and married Natalia Sedova, daughter of a wealthy merchant. In the early years of the century numerous other revolutionaries, who had either completed their exile or escaped from Siberia, left Russia for cities in Western Europe. Many thousands more made their way to New York where they formed a powerful revolutionary group in exile. Banned from St Petersburg, Lenin and a fellow activist, Julius Martov, settled in Munich in Germany where they promoted the Russian Social Democratic Labour Party (RSDLP). Lenin believed the party had to be run from outside Russia. The RSDLP called its journal Iskra (The “Spark”) believing that from that spark, the flame of revolution would spring: ‘The agents would distribute it, spread party propaganda through local cells and channel information to the Central Committee. The journal would help create a cohesive party that until then had consisted of a series of independent groups.’  Lenin firmly believed Karl Marx’s dictum that capitalism would inevitably disintegrate in Russia and elsewhere because it carried within it the forces of its own destruction. Thereafter, power would be grasped by the workers, the men and women who had been exploited by capital. So the theory ran. 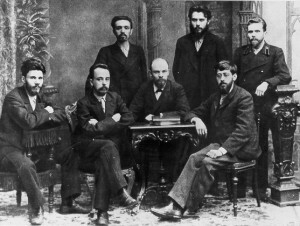 The ‘hard’ faction was led by Lenin who proclaimed his followers to be the bolshinstvo, the ‘men in the majority’, and thereafter they became known as the Bolsheviks. Marxist intellectuals and those of a less intense ideology were attracted to the ‘soft’ faction while the hard Bolshevik group, although it had its share of intellectuals, was favoured more by provincial party workers and professional revolutionaries: “the bacteria of the revolution” as Lenin called them. Basically, the ‘softs’ favoured debate while the hard-line Bolsheviks were militants who considered themselves exclusively the champions of the Russian working class. Lenin and Trotsky traded insults over the years. Trotsky’s deeply held belief lay in the democratic ‘Westernising’ principle, but Lenin considered him evasive, underhand, and ‘merely posing as a leftist’. Trotsky retorted that ‘the entire structure of Leninism is at present based on lies and falsification and carries within it the poisonous seeds of its own destruction.’  According to Trotsky, Lenin had lost sight of the struggle for the emancipation of the working class and had become a despot who spoke of the victory of the proletariat when he really meant victory over the proletariat. Trotsky was correct but his instinct was insufficiently strong to maintain the rift between them, especially, as we will shortly detail, wealthy outside influences drew them together. 1. 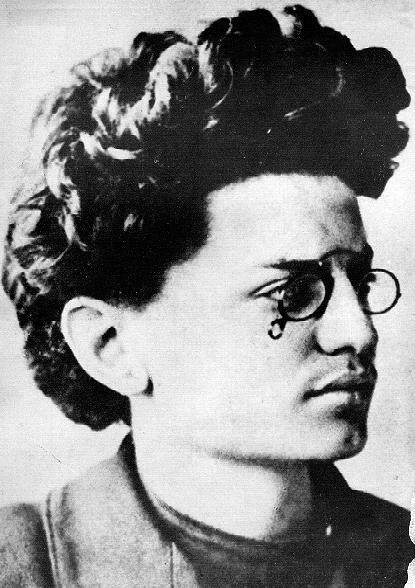 Dmitri Volkogonov, Trotsky, The Eternal Revolutionary, pp. 2-3. 2. Leon Trotsky, My Life, p. 132. 3. Volkogonov, Trotsky, pp. 11-12. 4. Michael Pearson, The Sealed Train, Journey to Revolution, p. 26. 6. E.H. Carr, The Bolshevik Revolution 1917-1923, p. 26. 7. Trotsky, My Life, p. 160. 8. Dimitri Volkogonov, Lenin, Life and Legacy, p. xxxii. 9. Pearson, The Sealed Train, p. 31. 10. Volkcogonov, Trotsky, p. 47. 11. E. H. Carr, The Bolshevik Revolution, p. 86. 12. Volkcogonov, Lenin, p. 84. 13. 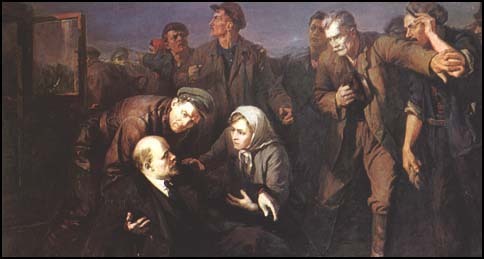 Volkogonov, Lenin, Life and Legacy, pp. 85-86. 15. E.H. Carr, The Bolshevik Revolution, p.26. 16. Volkogonov, Trotsky, pp. 30-31. 17. Pearson, The Sealed Train, p. 32. The First World War drained Russia, literally and metaphorically. By January 1917, after two-and-a-half years of mortal combat, six million young Russians had been killed, seriously wounded or lost in action for no territorial or strategic gain. The dream of winning Constantinople had become a nightmare of miserable defeat. Food shortages, hunger, anti-war agitation and civil unrest increased by the day across the Czar’s once-mighty Empire. 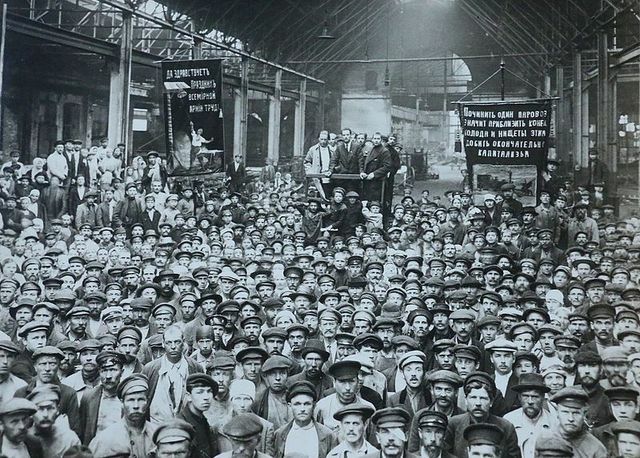 On 22 February, 1917, 12,000 workers at the giant Putilov manufacturing plant in Petrograd  went on strike and were joined on the streets by thousands of demonstrators chanting ‘Down with the Czar’. Soldiers from the city garrison were sent out to arrest the ring-leaders and end the protest, but they refused to open fire on the angry crowds. The Czar abdicated almost immediately, allegedly because he believed that he had lost the support of his military. The event was bloodless apart from the death of several officers shot by their own men. Thus the first Russian Revolution, known as the ‘February Revolution’, ended 300 years of autocratic monarchical rule. A governing body was established in the Winter Palace in Petrograd by liberal deputies from the existing parliamentary body, the Duma, together with socialists and independents. Termed the ‘Provisional Government’, it kept Russia in the war against Germany and began formulating plans for democratic rule through an elected legislative assembly of the people. It was a beginning. 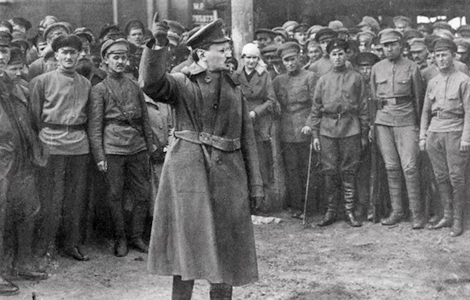 The seizure of power by Bolshevik revolutionaries on 25 October, 1917,  brought communism to Russia and major strife to the entire world for the greater part of the twentieth century. For readers not versed in modern Russian history it is important to note that the Bolshevik Revolution was very distinct from the revolution that had taken place eight months earlier. 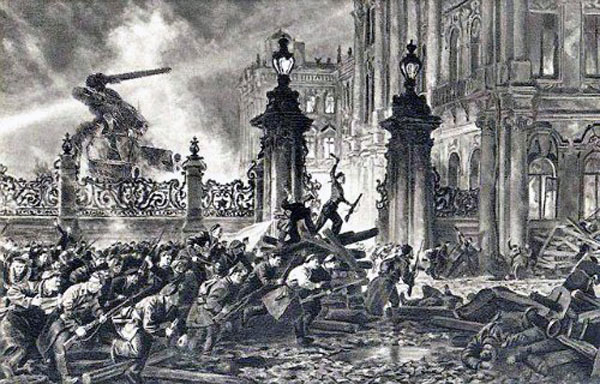 During the night of October 24/25, a group of armed communists seized key areas of Petrograd, entered the Winter Palace and assumed control of the country. The coup was led by Vladimir Lenin and Leon Trotsky, two extreme Marxist revolutionaries who had returned to Russia earlier that year from enforced exile. This was the ‘Bolshevik Revolution’, also known as the ‘October Revolution’. Lenin and Trotsky smothered the fledgling attempt at democratic governance, took Russia out of the war with Germany and installed a ruthless communist system that suppressed Russia for the next seventy-four years. According to received history, the February Revolution was an entirely spontaneous uprising of the people. It was not. 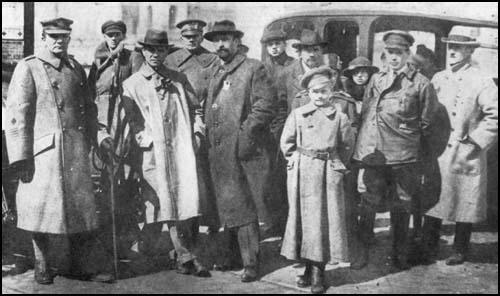 The Putilov strike, and the city garrison’s refusal to act against the strikers, was orchestrated from abroad by well-financed agents who had been stirring unrest among the workers and soldiers with propaganda and bribery. The October Revolution was also directly influenced by the same international bankers, with vast financial and logistical support which enabled Lenin and Trotsky to seize power. What is particularly relevant to the Secret Elite narrative is the evidence of their complicity from both sides of the Atlantic. Without external intervention, the Russian Revolutions would never have taken the ruinous direction which destroyed a nation’s hope for justice and democracy. As these blogs unfold over the next weeks please bear this in mind. Russia had been ruled by the ‘divine right’ of Czars from the reign of Ivan the Terrible (1547-1584) until the abdication of Nicholas II in February 1917. The ruling Romanovs dynasty was one of the richest families in the world, on a par with the Rothschilds. They owned huge estates with elaborate palaces, yachts, a massive collection of diamonds (amounting to 25,300 carats), emeralds, sapphires and fifty-four of the priceless jewel-encrusted Faberge eggs. In May 1917, the New York Times estimated the total wealth of the dynasty to be in the region of $9,000,000,000,  a breath-taking sum today let alone a century ago. A significant number of upper and middle class Russians (the bourgeoisie), included merchants, government officials, lawyers, doctors and army officers who enjoyed comfortable incomes and life styles. That said, urban factory workers (the proletariat) and rural agrarian workers (the peasants) comprised the vast majority of the population of 175 million in 1914. But the war haemorrhaged both youth and loyalty. The populace survived on the edge of poverty and hunger, but did not generally support revolutionaries. If radical change was required, it would have to be manufactured. Czar Alexander II had abolished serfdom in 1861 but opposed movements for political reform. Having survived several attempts on his life, he was eventually assassinated on the streets of St Petersburg in 1881 by members of a revolutionary group, ‘People’s Will’, led by a Jew, Vera Figner. Thereafter, the Jews in the Pale of Settlement  were subjected to a series of terrifying pogroms (religious-ethnic massacres). Over the following decades peasants rebelled over taxes which left them debt ridden and oppressed by hopelessness. Workers went on strike for better wages and working conditions. Students demanded civil liberties for all, and even the comfortable bourgeoisie began calling for representative government. Though this clamour for social change and greater equality was apparent across Europe, the Romanovs resisted challenges to their autocratic authority with bitter determination. In 1897, in the midst of this social unrest, a 27 year-old Marxist lawyer and intellectual Russian radical, Vladimir Ilyich Ulyanov, was arrested by Czarist secret police (the Okhrana) for subversive activities and sentenced to three years exile in Siberia. Ulyanov was treated lightly in comparison to his older brother, Alexander, who ten years earlier plotted to assassinate Czar Alexander III and was hanged for his troubles. 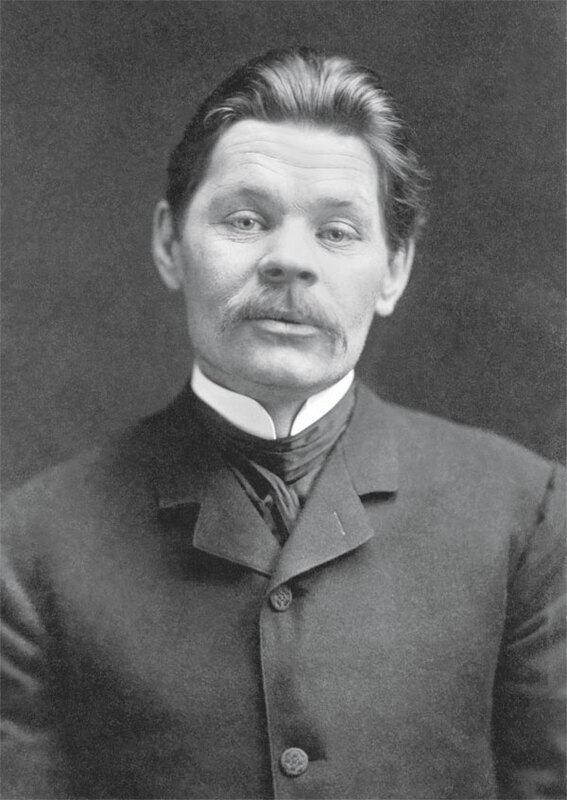 Vladimir Ulyanov took the alias Lenin and would go on to become the most powerful man in Russia following the October Revolution. Born in Simbirsk (renamed Ulyanovsk in his honour in 1924), a town on the Volga some 900 kilometres east of Moscow, Lenin’s father was an inspector of the provinces schools. His mother, the daughter of a baptised Jewish doctor, Alexander Blank,  bought the family a farm of some two hundred acres near Samara for 7,500 roubles. 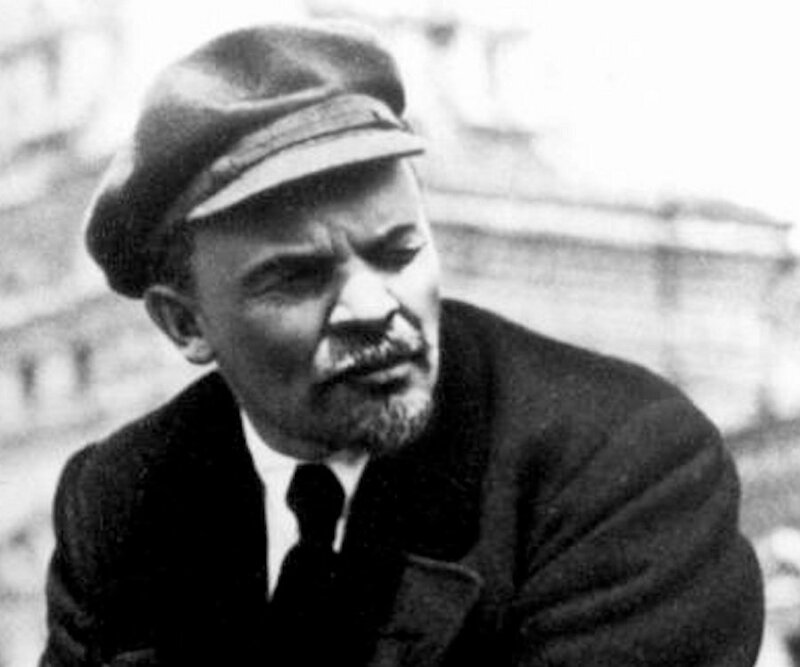 The fact that Lenin had Jewish forebears would have had absolutely no relevance were it not for the fact that many consider the Bolshevik Revolution to have been a Jewish plot. We have already explained how powerful individuals within the Secret Elite who supported Zionism were behind the Balfour Declaration of 2 November, 1917 which led eventually to the creation of the state of Israel. Within 72 hours of that declaration, the men who were financed and aided by these same individuals, seized control of Russia. It does not require a great leap of imagination to consider the possibility that these two seismic events in world history were connected in some way. In March 1919, The Times reported, ‘One of the most curious features of the Bolshevist movement is the high percentage of non-Russia elements amongst its leaders. Of the 20 or 30 leaders who provide the central machinery of the Bolshevist movement, not less than 75 per cent are Jews …’  Note that The Times differentiated between Russian and Jew, as if it were not possible to be both, while the Jewish Chronicle emphasised the importance of the Jewish influence on Bolshevism: ‘There is much in the fact of Bolshevism itself, in the fact that so many Jews are Bolsheviks, in the fact that the ideals of Bolshevism at many points are consonant with the finest ideals of Judaism’. Another Jewish journal, American Hebrew, reported: ‘What Jewish idealism and Jewish discontent have so powerfully contributed to produce in Russia, the same historic qualities of the Jewish mind are tending to promote in other countries … The Bolshevik revolution in Russia was the work of Jewish brains, of Jewish dissatisfaction, of Jewish planning, whose goal is to create a new order in the world. What was performed in so excellent a way in Russia, thanks to Jewish brains, and because of Jewish dissatisfaction and by Jewish planning, shall also, through the same Jewish mental and physical forces, become a reality all over the world.’  It is interesting to note that in 1920, just three years after the Balfour Declaration, Jewish journals were openly discussing the primacy of Jews in creating a new world order. 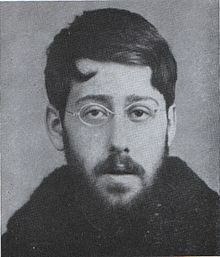 Rabbi Stephen Wise later commented on the Russian situation: ‘Some call it Marxism I call it Judaism.’  Aleksandr Solzhenitsyn, a victim of the communist regime who spent many years exiled in Siberia and was a later recipient of the Nobel Prize in Literature, was emphatic that Jews were not involved in the first revolution: ‘The February Revolution was not made by the Jews for the Russians; it was certainly carried out by the Russians themselves … We were ourselves the authors of this shipwreck.’  Solzhenitsyn, however, added: ‘In the course of the summer and autumn of 1917, the Zionist movement continued to gather strength in Russia: in September it had 300,000 adherents. Less known is that Orthodox Jewish organisations enjoyed great popularity in 1917, yielding only to the Zionists and surpassing the socialist parties.’  He observed: ‘There are many Jewish authors who to this very day either deny the support of Jews for Bolshevism, or even reject it angrily, or else…only speak defensively about it… These Jewish renegades were for several years leaders at the centre of the Bolshevik Party, at the head of the Red Army (Trotsky), of the All-Russian Central Executive Committee, of the two capitals, of the Comintern …’  Given the repression of the Jews in Russia, it is hardly surprising that they swelled the numbers of active revolutionaries during this period. They had suffered the horror of the pogroms. They had nursed a genuine resentment for Czarist repression. They were determined to change the world. A report in 1919 from the British Secret Service revealed: ‘There is now definite evidence that Bolshevism is an international movement controlled by Jews; communications are passing between the leaders in America, France, Russia and England, with a view toward concerted action.’  Hilaire Belloc, Anglo-French writer, philosopher and one time Liberal MP at Westminster, wrote: ‘As for anyone who does not know that the present revolutionary movement is Jewish in Russia, I can only say that he must be a man who is taken in by the suppression of our despicable Press. Contemporary commentators failed to link the Balfour Declaration and the Russian Revolution in October/November 1917, despite their links to Zionism and the ‘concerted action’ from both sides of the Atlantic. It should not be seen as a criticism; it was a fact. 1. The Russian capital, St Petersburg, was renamed Petrograd at the beginning of WW1 to give it a less German sounding name. It reverted to St Petersburg on the fall of communism. 2. The date, October 25, 1917, was calculated by the old-style the Julian calendar then still used in Russia – The Gregorian calendar used elsewhere in Europe and the United States registered the date as November 7, 1917, thus the old style Julian calendar was 13 days behind the Gregorian. 3. Sean McMeekin, History’s Greatest Heist, The Looting of Russia by the Bolsheviks, p. xix. 4. New York Times, 12 May, 1917. 5. Peter Waldron, The End of Imperial Russia, 1855 – 1917, p. 22. 6. The Pale of Settlement was territory within the borders of czarist Russia wherein Jews were legally authorised to live. It included present day Belarus, Ukraine, Poland, Moldova and much of Latvia and Lithuania. 7. Dmitri Volkogonov, Lenin, Life and Legacy, p. 5. 8. The Times, 29 March, 1919. 9. Jewish Chronicle, 4 April, 1919. 10. American Hebrew, 20 September, 1920. 11. Rabbi Stephen Wise, The American Bulletin, 5 May, 1935. 12. Aleksandr Solzhenitsyn Juifs et Russes pendant la periode soviétique, Volume 2, pp. 44–45. 16. New York Times, September 17, 1914, David Wolfsohn obituary. 17. Zionism in Europe and America proved to be a comparatively slow-burning evolution. Between 1900 -1917 there was a serious divergence between Zionists who promoted a faith based assimilist belief, and the political Zionists who had one aim – a return to what they claimed as their former homeland in Palestine. 19. Scotland Yard, A Monthly Review of the Progress of Revolutionary Movements Abroad, July 16, 1919. 20. Hilaire Belloc. G.K.’s Weekly, 4 February, 1937.